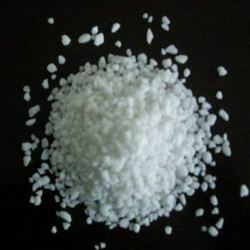 Manufacturer of a wide range of products which include ammonium chloride. Owing to our rich experience in this domain, we have been able to offer the best quality Ammonium Chloride. The offered chemical is used in fertilizer industries as a nitrogen source in fertilizers. In addition to this, the offered products are highly demanded in food processing, chemical and pharmaceutical industries. Chemical Name Ammonium Chloride, NH4CL. Looking for Ammonium Chloride ?